TSA conducts security exercises with various highway modal industry stakeholders each year. This Webcast will discuss the best practices and the lessons learned over six school transportation security exercises conducted since 2009. 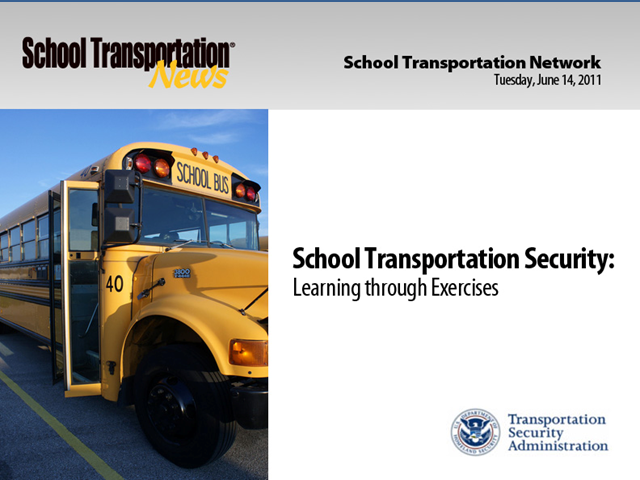 These exercises have included school transportation operators that operate from rural to large inner city areas, school districts, as well as federal, state and local first responder and law enforcement agencies.